Cristian: Today we are going to talk about how easy is to start a company in Estonia, and Ivar from 1Office Group is here to help us with some answers. Why Estonia? Because you can start a business very easy, in a couple of hours and mostly online. But let’s start with the basics. 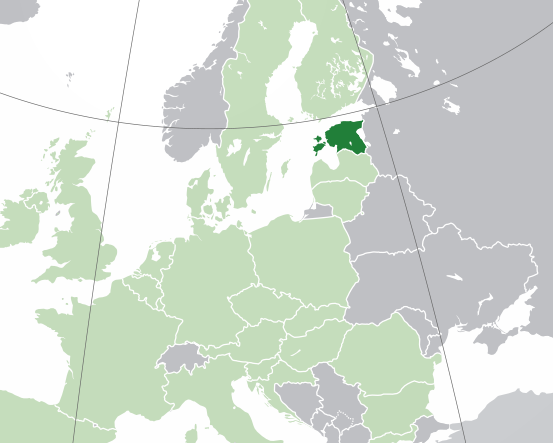 Where is Estonia located, and starting a business in Estonia means actually starting a business in EU? Ivar: Estonia has been a EU member state since 2004 and adopted single currency euro in 2011. Geographically it is part of Northern-Europe, economy closely linked to its Northern neighbour Finland and western neighbor Sweden. Cristian: Do you have to be an Estonian resident? What is e-Residency and how does it work? Ivar: You can be an Estonian e-Resident without having a residency in Estonia. E-Residency is open to all the people in the world who have a valid travel document and can visit Estonian embassy or consulate for biometric identification. E-Residency is a digital identity program for non-residents who can apply for a smart card that gives them a state backed digital identity in the EU. Digital identity enables its holders to access public and private services online and sign digital documents in the EU members states as agreed in the eIDAS directive. Cristian: Once you have the e-Residency sorted out you can go ahead and open a company? What are the requirements and how is this done? Ivar: All the holders of the e-Residency smart card can log in to Estonian Company Registration Portal online and register a private limited company. It requires no minimum capital and the state fee for company registration is €190. Some service providers such as 1Office have the company registration integrated to their website. This means that you can register a company online while activating virtual office and accounting services via 1Office’s webstore. EEC and EU residents can be board members (company directors) without any restrictions. Other nationalities might need to appoint a contact person such as a virtual office service provider. Cristian: What kind of companies are most suitable to be opened via e-Residency and e-Register? IT? What would be the main benefits of opening a company this way in Estonia? Ivar: There are no limitations in the main field of activity. The main benefits are there for global entrepreneurs who need access to the EU digital single market. This could be a SaaS developer from India or Ukraine who needs to look solid for EU clients and wants to collect payments via its e-commerce website. There are a lot of countries where you cannot access decent banking service and accept online payments via service providers such as Stripe, PayPal, and Braintree. Cristian: What about VAT ID? Ivar: Applying for a VAT number is mandatory after your turnover passes €16,000 per calendar year. Before that you can register voluntarily to reclaim VAT on purchases. Everything can be done online using your e-Resident card. Cristian: How much does it cost to open a new company? And what kind of companies do you have in Estonia? Ivar: Opening a new private limited company costs €190. Most suitable company type for a global entrepreneur is a private limited company (osaühing or OÜ in Estonian). It has a minimum share capital requirement of €2,500 and this can be allocated from future profits. Cristian: Do you have to come in person to Estonia? Ivar: Applying for e-Residency, registering a company, and opening a bank account can be done without ever visiting Estonia. Some banks might be more restrictive towards long-distance boarding of non-EU clients but this is subject to their internal policies. Cristian: Do you need an office? What can you do in this direction? Ivar: A private limited company needs a registered office address in Estonia. This is a service provided by several companies in Tallinn. Best of them have their e-commerce websites that provide company registration online together with virtual office service activation using your credit card. Cristian: What kind of virtual offices are there and is there a preferred location? Ivar: Virtual office service providers differ in their fees, their e-commerce sites, and actual locations. Top service providers are in the city centre of Estonian capital Tallinn. Regular services bought by e-residents is a mandatory registered office address, authorised contact person service for non-EES residents and office assistant’s support for administrating your company from abroad. Cristian: Now, to the most important part. What taxes do you have to pay, and do you need an accountant to fill in the taxes each month? I know that you can fill everything online via E-tax/e-customs, but how complicated is the actual system? Ivar: A company not registered for VAT only needs to present its annual accounts once a year. VAT registered companies need to file their tax returns once a month. The same applies for companies employing people in Estonia and/or distributing dividends to shareholders every month. This can be done online by a e-Resident confident in one’s accounting skills and knowledge of the Estonian tax regulations. Normally we would recommend letting your accounts be administrated by a certified accountant. Estonian flat rate tax system is pretty straight forward compared to most of the EU countries. Cristian: If the work is done outside Estonia how does it work from the taxation point of view? Ivar: There is an OECD framework for defining a tax residency of a company and taxing their activities through a permanent establishment concept. Having an office or permanent management seat abroad might give other countries rights to tax some parts of the profits with corporation tax. You can read more about the international regulations here. Cristian: Are there any forums or user groups where you can find out more about how everything goes? Ivar: There is a Facebook and Linkedin group for e-Residents.  A private initiative called e-Res Network provides a web forum with different topics. Cristian: Where can I read more? Ivar: You can start with reading the government website and different blog posts discussing the topic. Some of the blog posts you might want to read are How to open an Estonian bank account with the e-Resident ID card, What are the primary forms of business in Estonia? And E-residency in Estonia for entrepreneurs.